Crystals are powerful tools that shift energy in our body, and can balance our emotions. There is a crystal for EVERY ailment; physical, emotional, and spiritual. When we apply crystals purposefully based on our desired outcome, and intention we can see massive transformation in our lives and improve our quality of life. Crystals also allow us to access our own intuition (our inner knowing) and our Higher Selves (our own guidance system that acts like a compass to help us navigate our lives) which gives us confidence daily and peace in our circumstances. With the Certified Crystal Healing Course, you can self-heal, heal others safely using crystals, and deepen your spirituality. This self-paced online course also provides you with accredited through the Soul Filled Yogi Metaphysical School (accredited by The World Metaphysical Association) upon completion. Learn the basics of crystals and how they can be used as tools to help you heal your mind, body, and soul. 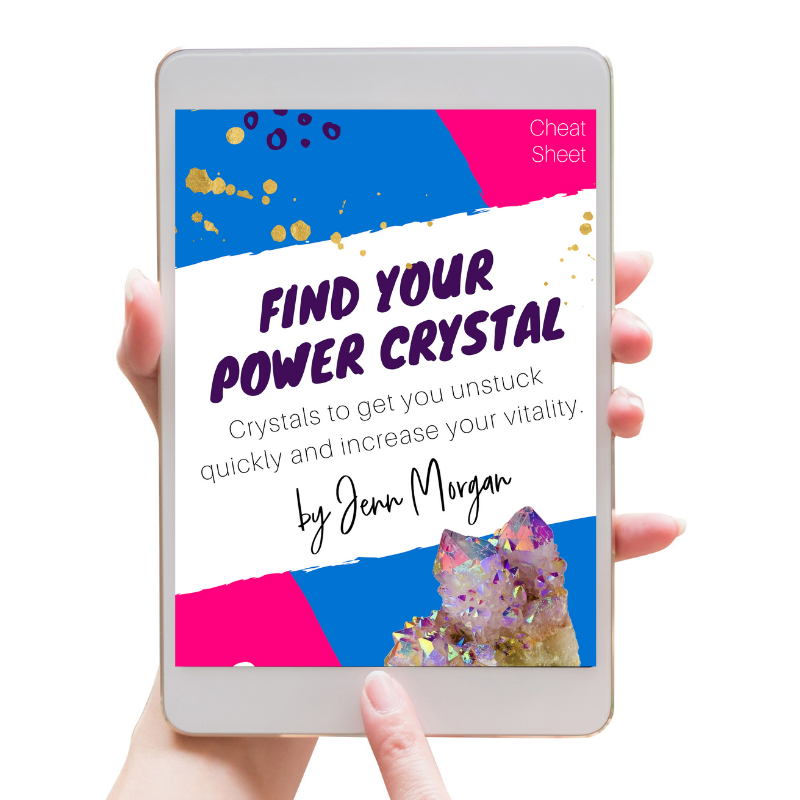 This session is the starting point to using crystals in your own life, shows you how they work, and teaches you how to use your intuition for healing. Learn how to use crystals to remove blockages in your own auric body that are preventing you from moving forward in your life. The Certified Crystal Healing Master Attunement is an additional option for those who wish to become healers, want to be healed by me, and would like to spiritual advance with crystals as their guides. You will learn which crystal is the best crystal for you in all aspects of life (restorer crystal) and experience heightened energy 1-on-1 with me. This is ONLY for CCH students and course graduates. After your payment is received you will get an email to schedule your 1-on-1 for the Master Attunement. Learning about crystal healing is one more tool for my tool kit in aiding others to live a more enriched and balanced life. I hope to one day offer crystal healing sessions in conjunction with my yoga classes to provide a well rounded service to my community. -Michelle M.
I’ve always been interested in & attracted to crystals, but being a person who works in the medical field, I also mocked the thought of a rock being able to heal people. Since taking this course, I have drastically changed my viewpoint. I finally feel like I found a form of spirituality that I can connect to and that truly reflects who I am and what I believe. I can honestly say, I walked into this as a skeptic & am now very deeply connected spiritually to the world around me. -Lexi V.
I have absolutely loved taking this course. I have learned so much about crystals from their healing properties, to how to use them within your home and for protection. I also loved learning about the chakra’s and how to help balance chakra’s using specific crystals. For the last few months I have been a spiritual junkie and wanting to learn as much as possible and taking every course that spoke to me. When I saw this course, it definitely spoke to me and didn’t disappoint. -Paige K.
I came into this as a total beginner, I have always liked crystals but knew nothing about them, after a week I can name a lot of crystals without needing to look it up to make sure I’m correct! I have already done two practice sessions and got another one planned. It’s so nice to feel a part of something and supported, I had a lot of questions before I started but Jenn was helpful and made me feel like I belonged, and now I want to join up for more courses. –Maria W.
Jenn is always available to answer any questions you have, she provides a non-judgmental environment where you can learn about yourself. She is truly inspiring to be around. -Bridget L.
Jenn is extremely knowledgeable & passionate about crystals, their benefits and origins. She makes it high priority to form real relationships with her students. -Joanna M.
Jenn has a deep rooted passion and knowledge that she willingly shares with others in her videos, on her social media pages and throughout the course. -Barb M.